This plant is an evergreen perennial, with a stem from one to two feet in height, branched, swelled at the joints, leafy, round, and smooth; the leaves are smooth, spreading, very deeply pinnatified; leaflets in from two to four pairs, from one and half to two and a half inches long, and about two-thirds as broad, the terminal one largest, all ovate, cuneately incised or lobed; the lateral ones sometimes dilated at the lower margin, near the base almost as if auricled; color of all, a deep shining green; the flowers are bright yellow, umbellate, on long, often hairy stocks. 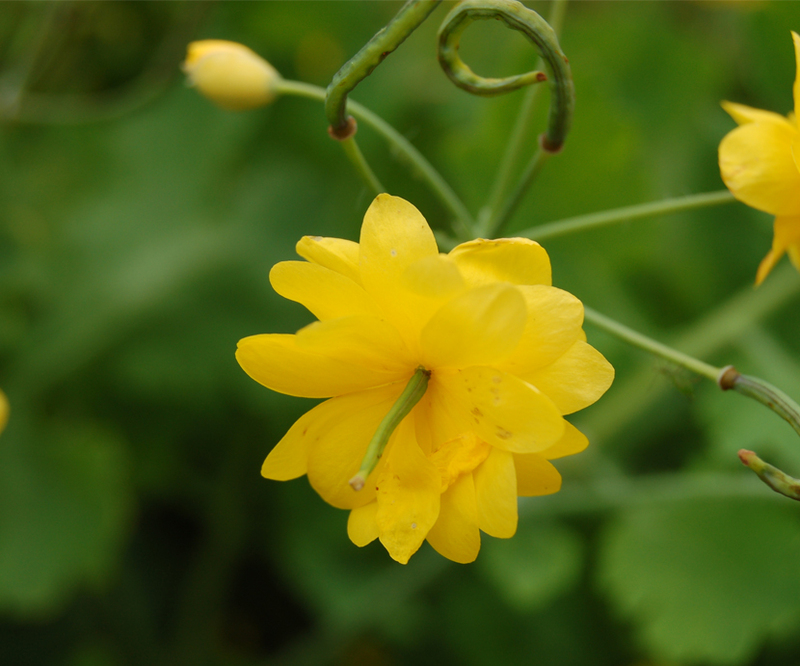 Chelidonium majus var. grandiflorum DC. Chelidonium majus var. laciniatum (Mill.) Lam. & DC. Chelidonium majus var. plenum Latourr. Chelidonium majus var. tenuifolium Lilj.